As we celebrate NetEnt’S NEW SLOT GAME ‘Guns N’ Roses’, LeoVegas, the King of mobile gaming seems to be the only casino that is running the biggest promotion towards celebrating the new game. Players will be given a chance to rock like a rock star at which players will win music concert tickets, cool gadget, free spins and an epic holiday of a lifetime. Play at LeoVegas and be crowned the King of Rock! The volume has been pumped up high with the speakers making so much noise that your ears bleed and the lights are all set. Guns N’ Roses is now live at LeoVegas and players are being dished out with fabulous goodies to keep them entertained. The action is bigger than before and all players who are wagering on this new slot game stand a chance of winning a holiday of a lifetime where you will be a rock star for a week. This could be the holiday of your dreams. By wagering with at least €10, you will earn tickets to the grand draw and the draw will take place on the 24th of February. Another added advantage is that you will be part of the leaderboard and the casino will be giving away goodies to top 30 players. To make it into the leaderboard competition, you would have to collect player points by wagering at least €10 on Guns N’ Roses. Not only will be the leaderboard on Guns N’ Roses but all other games wagered will contribute points to the leaderboard. All other games will contribute 1 point, Guns N’ Roses PC will contribute 2 points whilst Guns N’ Roses Touch (mobile version) will contribute 3 points. The more you wager, the more points you get. 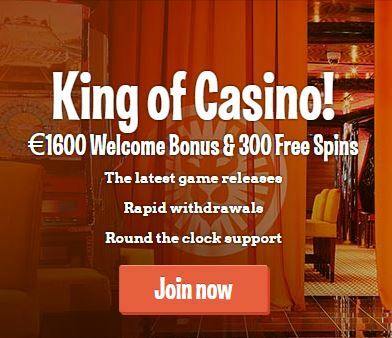 To know more about this casino, read LeoVegas Review here! NetEntCasinoReviews is the perfect site to catch all your latest NetEnt campaigns. We provide detailed and accurate information regarding all the latest NetEnt campaigns taking place at your favorite NetEnt casinos. Furthermore, we also provide a wide range of guides to help you get started with real money gaming as well as polishing and improving your gaming skills. Follow us on Twitter to catch all the action today!